You are at Home Aletha Solter, Ph.D.
Aletha Solter, PhD, is a developmental psychologist, international speaker, consultant, and founder of the Aware Parenting Institute. 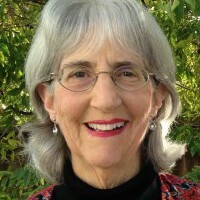 Her four books, The Aware Baby, Helping Young Children Flourish, Tears and Tantrums, and Raising Drug-Free Kids, have been translated into many languages, and she is recognized internationally as an expert on attachment, trauma, and non-punitive discipline. She lives in California and has two grown children and two grandchildren.